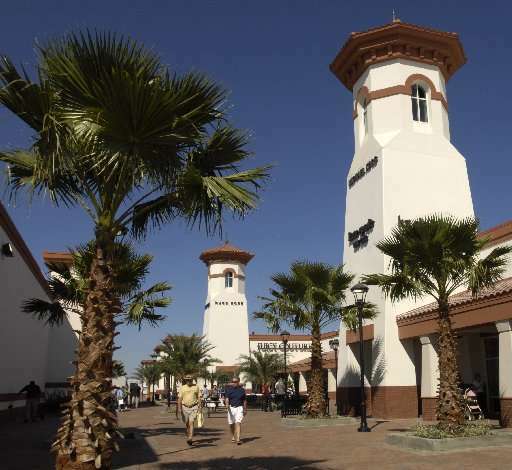 A release from Lightstone has announced the addition of two new anchor stores at St. Augustine Outlets and a multi-million dollar interior renovation. Leases have been signed with two new major retailers, the news release said. Old Navy was named as one of the new anchors, and the other is simply called a “major fashion forward retailer.” It has previously been announced that popular apparel store H&M is coming to the mall, which is located off State Road 16. H&M will be opening in the 26,000-square-foot store located at center court. Both H&M and Old Navy are scheduled to open in the summer. More store openings are in the planning stages and include apparel retailer Christopher & Banks, slated to open in the fall. Additionally, several stores have recently expanded, relocated and/or remodeled. These include Saks OFF 5th Avenue, Michael Kors, bebe and VF Outlet, along with Papaya, which recently opened a new location on the interior of the center. A comprehensive interior renovation has already begun and is expected to be complete by mid-summer. Existing mall flooring will be replaced with new modern tile in light neutrals, featuring dramatic accent areas throughout the center. Comfortable upholstered seating areas are planned in a contemporary color scheme, along with enhancements to interior landscaping. Lighting upgrades were also incorporated into the design. Planned technology improvements will provide Wi-Fi access throughout the entire center, and new touchscreen directories will give shoppers access to mobile-friendly coupons and information about stores sales and promotions. Lightstone is a privately held real estate company with a portfolio that includes more than 10,600 multifamily units, 6.8 million square feet of office, retail and industrial assets, and 12,000 residential lots throughout the United States. The company’s hospitality portfolio consists of 24 properties. 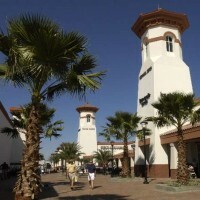 The company has owned, managed and developed 25 outlet centers totaling more than 8 million square feet.